Will the latest RBA move mean more financing options this year? Home » Property Development News » Will the latest RBA move mean more financing options this year for you and me? 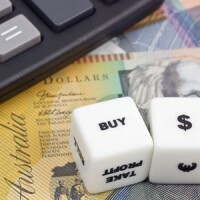 Will the latest RBA move mean more financing options this year for you and me? It’s been two very interesting weeks of analysing. On the 7th of February the RBA left rates unchanged – which caught many off guard (including me). After cutting in both November and December this year, they are now holding out to see how these rate cuts will impact on the rest of the economy, and how developments overseas pan out. However, they note that the outlook for inflation still gives them plenty of room to move if they need to, and the risks all seem poised to the downside. Interest rates are still expected to move lower this year. Interestingly though, we heard a lot of noise from the banks since the announcement that we shouldn’t necessarily expect to see rate cuts passed on in full this month. This would mean that while official rates might be falling, your mortgage rates might not. Late last year the ANZ announced that it would be reviewing its mortgage rates on the second Friday of the month – independently of the RBA. A week later Westpac followed suit. Last week NAB chief executive Cameron Clyne told radio station 3AW that he couldn’t guarantee that NAB will pass on any rate cut in full. “There’s no correlation to what the Reserve Bank does and the cost of our funds,” he said. What he means is that the RBA’s cash rate isn’t the only thing that affects a bank’s cost of capital – how much they pay to borrow the money they lend to you and me. And in recent months, and despite cuts in the RBA’s cash rate, the banks’ cost of capital has been rising rapidly. So withholding a cut to the official cash rate and not passing it on to consumers is a way then for the banks to preserve their profit margins, and when decreases in official rates do not come, you will see some increase their standard variable rates – like the ANZ has done. So as banks look to improve their margins any way they can, withholding some of the rate cuts they receive from the RBA this year will be just one strategy. It may also be the case that as banks start to move independently of the RBA, and each other, there may be an even greater variety of financing options available this year. Oh, and I expect a lot of table thumping from our politicians. Now – where did I put that crystal ball? INteresting Grant – here’s hoping it means more competition. How are those development opportunities in SE QLD going? Let me know – I”m interested in Toowoomba in particular. Cheers!